This will take you back in time. 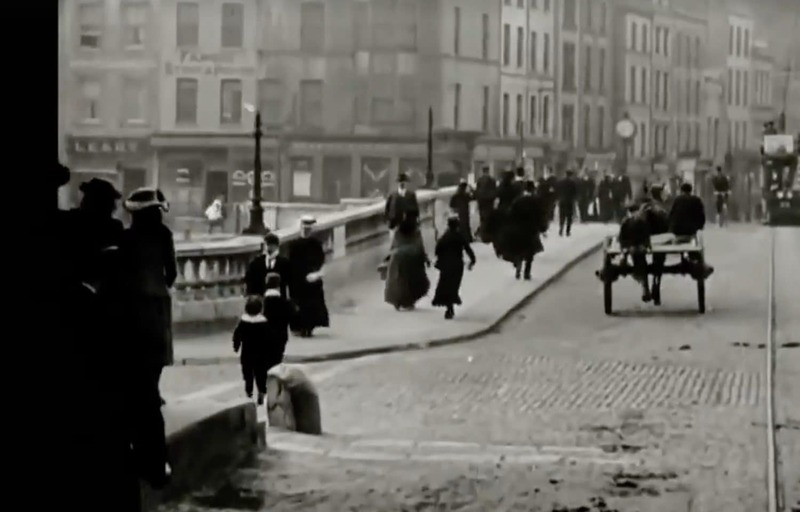 We’ve all see photographs of Cork in the olden days, but an incredible piece of video footage that surfaced this week will place you right in the centre of one of the city’s busiest thoroughfares in 1902. 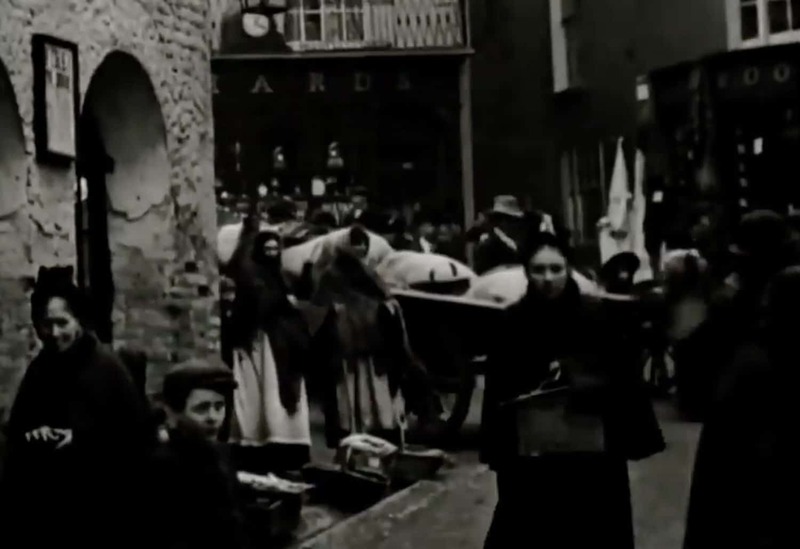 The video was recorded on St Patrick Street during the Cork International Exhibition. With the clock showing 9:10am, the city is in full swing; trams trundle down the road with passengers perched on top, while horse-drawn carriages wait patiently for shoppers to emerge from the canopied shops and stores on both sides of the street. 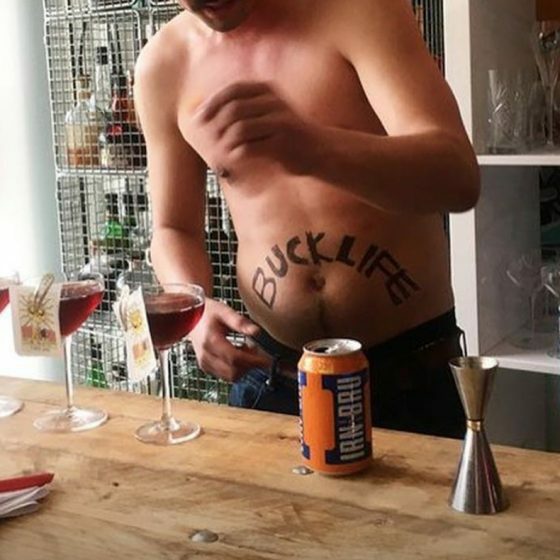 A Union Jack flag swings proudly from a building and men wearing moustaches, flat caps and bowler hats cycle through the crowds while ladies pass by in full skirts and shawls. Instead of beeping car horns, the air is filled with the sound of chatter and the screams and laughter of children – effects added in later but they do make for an atmospheric watch. 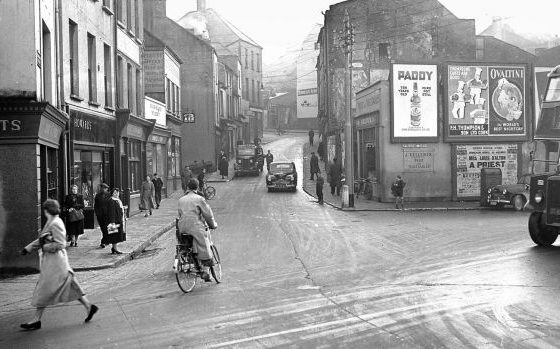 If you’ve got a keen eye you’ll recognise many of the buildings that remain part of the Cork landscape today, from the Woodford Bourne base on Daunt Square to much of Bridge Street, which was a much busier part of town 120 years ago. At about 17 minutes in, firemen rush to a burning building by foot, pushing their fire apparatus ahead of them. 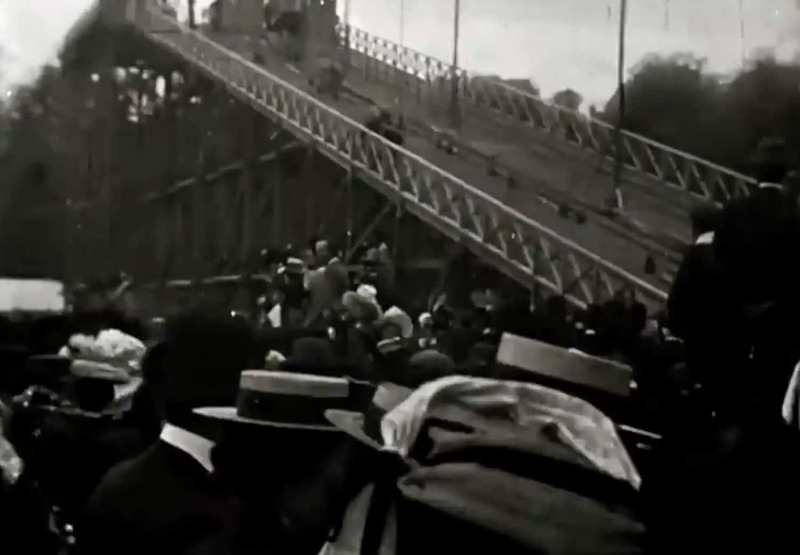 Later, crowds of people jostle in the queue for the Victorian roller coaster (known as a ‘switch-back railway’) in Fitzgerald’s Park. A water slide is set up on the river and couples can spotted enjoying row boat rides on the spot where the Shakey Bridge now stands. 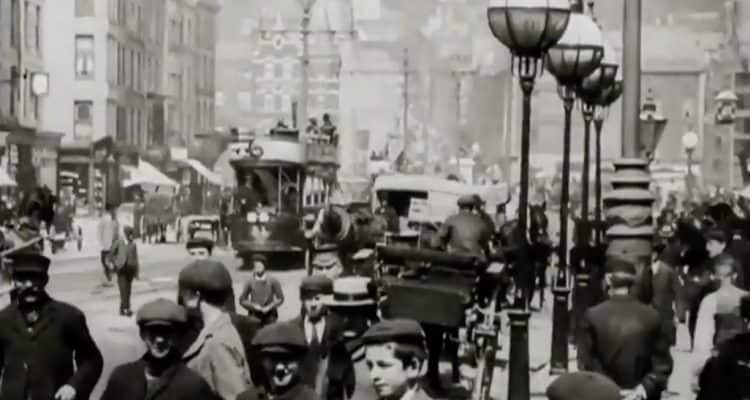 This beautiful video gives a true insight into what life was like around these parts 117 years ago.